B. Todd Johnston ... Jack McRoy Jr. Disregard that last review, this movie is funny as hell. 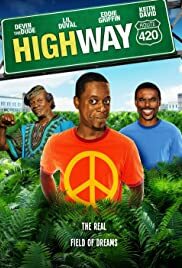 I know IMDb is pretty hard on ratings, but I feel this movie is better than a lot of "comedies" the downfall is that it was obviously not a major movie with a huge budget, but in the end, its a very entertaining movie, Lil Duval is funny , plus Gary Owen is always funny. At the end of the day, this movie is meant for smokers, and if your not, and don't enjoy that type of humor than you wont like this movie. I personally liked the movie, and thought it was one of the better comedies of the year. I'm not saying that this movie is one of the best comedies by any means, but it is very entertaining and worth watching.